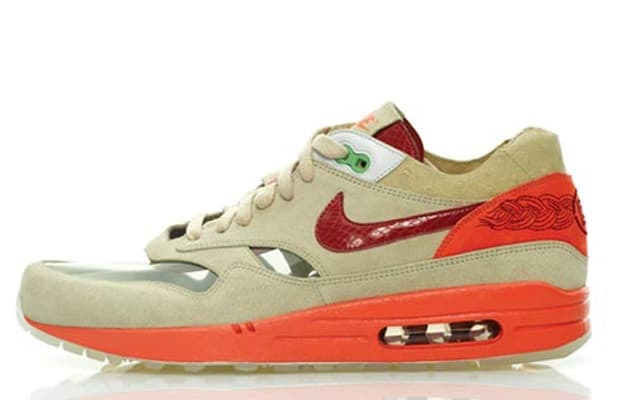 The most radical Air Max 1 ever produced? Perhaps. Meant to pay tribute to traditional Chinese medicine, the linerless Air Max 1 featured radical features including a transparent vamp, snakeskin Swooshes and tongue, and an ostrich ankle collar. Pressure points are mapped out on the insole. A collaboration should tell a story — this one does that better than most.